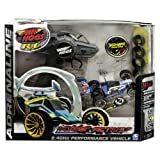 If you are looking for a super fast, ultra-fun remote control race car then the Air Hogs Hyperactive is just want you have been searching for. One of the hottest toys of the Christmas shopping season is sure to be the awesome new Air Hogs Hyperactive Pro. This incredibly fun remote control cars fly around at amazing speeds. Available in a wide range of colors and styles, you are sure to find the right car for anyone this holiday season! Just make sure you act quickly as these toys are expected to sell out quickly! When it comes to remote control action, it simply does not get much better than the newly released Air Hogs Hyperactive Pro. By now, most people, parents especially, are aware of how popular last year's Air Hogs RC Helicopters were. Entirely too many children were disappointed as these bad boys sold out much quicker than anyone anticipated. Well, I have got some good news for you as well as some bad news! The good news is that are a few Air Hogs Hyperactives still in stock. The bad news is that many people are expecting these remote control race cars to be the best selling toys this Christmas. 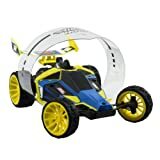 As such, you need to act quickly if you are planning to buy one of the Airhogs RC cars for your son or daughter for Christmas. Before you buy any remote control race car, it is important to consider the features that come with the toy right out of the box. Perhaps the single most commonly reported issue with remote control cars is the interference that naturally occurs from other RC cars in the area. You think you are turning left, when your car actually heads to the right! So frustrating. 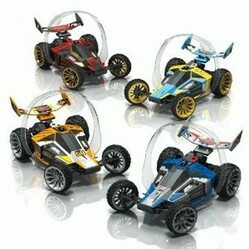 With the introduction of the Air Hogs Hyperactive line of remote control cars, this issue has been virtually eliminated. Additionally, this the uniquely designed controller, which operates on a 2.4 Ghz frequency, also provides tremendous range and power that is difficult to beat. Another cool feature that has been added this year is a truck style roll bar. In the past, if your race car tipped over on its side, you had to stop what you were doing, run out onto the track, and flip the car back on its wheels. The Air Hogs Hyperactive Pro, by virtue of this new self righting technology, gets you in the race and back in the action. Another thing that many parents will appreciate, and that your kids will love, is that you can use this car both indoors and out. It is simply a matter of switching out the soft indoor tires for the more durable rubber tires for outdoor play. You will, of course, to buy six AA batteries to operate this remote control car; which is not bad considering just how fast and fun it is to play with! This Christmas, watch as your Air Hogs Hyperactive Pro defies gravity while achieving unbelievable speeds right before your eyes.